Let me start with both a big welcome to our training website and a heartfelt thank you for considering Counseling Services at the University of Houston-Clear Lake for your doctoral internship in health service psychology. I hope that between the written materials about our APA-accredited training program, the welcome video, general information about Counseling Services, and the opportunity to call or email myself or any of our staff that you may find the answers you seek. We serve a non-traditional student population on a largely commuter campus in the suburbs of Houston. 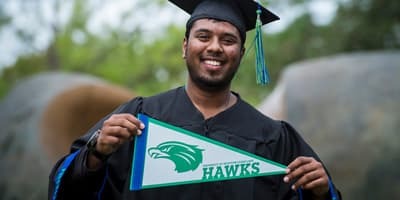 UHCL is one of four distinct institutions in the University of Houston System and houses both undergraduate and graduate programs. Many of our students have roots in the local communities and join us from a variety of cultural, academic, and vocational backgrounds. 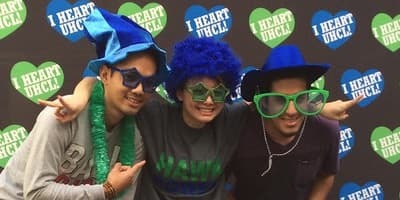 As a counseling center, we aim to help UHCL students connect, become empowered, and thrive through the therapeutic, outreach, and consultative services we offer. Our center is highly valued by university administration and appreciated by faculty and staff. We are a smaller center, consisting of five licensed psychologists, one consulting psychiatrist, three interns, and three part-time practicum students. Because of the size of our center, interns have unique opportunities to be engaged in meaningful ways with our staff and across campus. 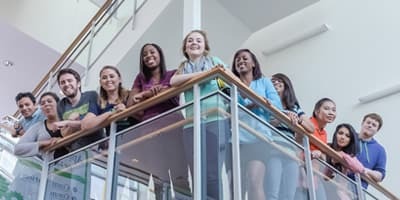 In addition to being incorporated into the daily activities and operations of the center, interns are able to interact with various constituents and partners on campus and thereby can develop professional skills in networking and collaboration with non-psychologists on a university campus. A past intern even had the opportunity to serve on the selection committee of a hiring process in another department. We consistently receive feedback from psychology trainees that our investment in training, developmentally oriented, high quality supervision, and safe learning environment make our program stand out. We seek to provide interns a final year of graduate training in which they can refine clinical skills to a level appropriate for early career practice. Moreover, we aim to provide an environment that is both nurturing and challenging, grounded in an appreciation of diversity and multiculturalism, and which facilitates personal and professional identity development and integration in preparation for a satisfying career. We hope that our commitment to excellent training is as evident in our training program materials as we believe that it is when trainees meet us. As a center, we are extremely invested in continuing to cultivate and refine a topnotch internship program. We hope that you will find us to be a good match for your training needs and that you will consider joining us next year. Our application deadline is November 8, 2018 at 5 p.m. CST. We wish you the best of luck during this important process. Please don’t hesitate to contact me if you have any questions. A transcript (YouTube) is available. Questions related to the program’s accredited status should be directed to the Commission on Accreditation. Contact the CoA at Office of Program Consultation and Accreditation, American Psychological Association, 750 1st Street, NE, Washington, DC 20002; Phone: 202-336-5979; Email: apaaccred@apa.org; Web: www.apa.org/ed/accreditation.